You know what that opening means, right? No, it’s not my answer to the question, “Has it been too long since the last Ke$ha album.” It means Star Wars. And yeah, I know…there are some crybabies out there – religious types, mostly – that would argue that Star Wars is not technically a Disney movie but look – they own them now. They have a Star Wars-based ride at Disney World (with more promised for the future) and they are responsible for the new one coming out. This year. In December. On the 18th. Holy womp rats, that’s exciting…so shut it. It’s a Disney movie. As are the other two movies I will be including in this blog series. You’re welcome. 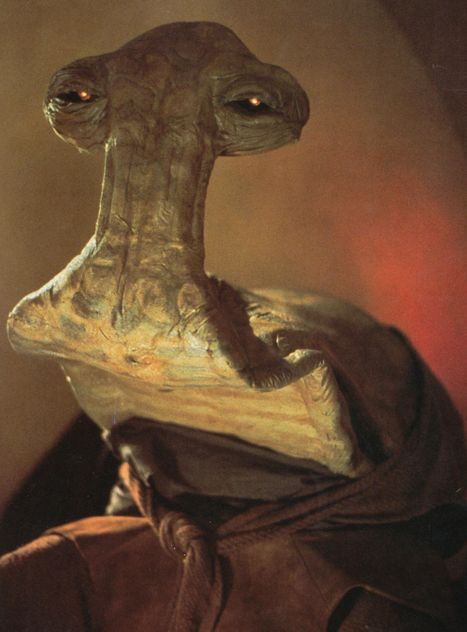 Speaking of the new one coming out, we are trying to time the watching of the trilogy (Jar Jar what?) with Return of the Jedi being watched close to the release of The Force Awakens. So obviously, we are starting with A New Hope in July. It isn’t my most favorite of the Star Wars films, but still – it is the one that introduced the world to something pretty spectacular. But more on that later. Whurr duz hee git thoas wunderfull toyz? But just know that I am sort of a kind of nerd when it comes to Star Wars. Of course, I have seen the movie a bunch of times but I also have a pair of Star Wars shoes I wear regularly. I convinced Nickie to let me put pictures of both Han Solo and Boba Fett above our couch in the living room. Every couple of years, I participate in a 13+ hour event with my friends where we watch all the movies (yes, even those) and incorporate a set of drinking rules based on the films. I have made my kids watch the PSA where R2D2 is smoking a cigarette multiple times. I not only have two Star Wars pajama sets AND a set of pancake molds but I have also recently come to the conclusion that I own enough Star Wars t-shirts to last me a couple weeks. But yeah…I lyk Schturr Wurrz. 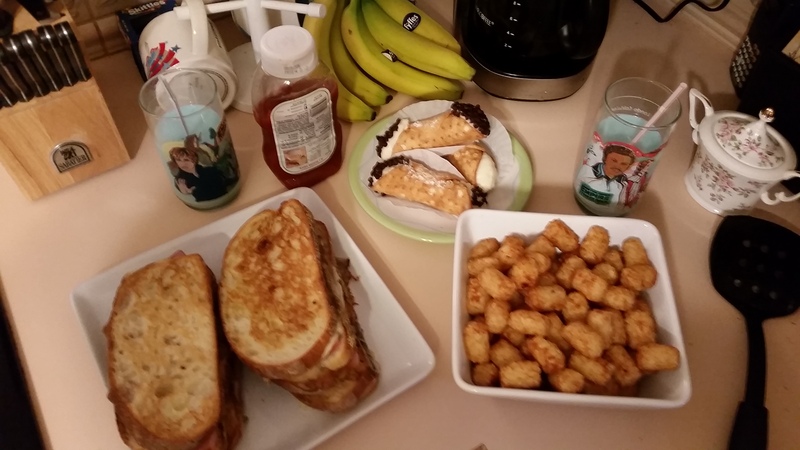 Our galactic goodies consisted of Ham Solo and Cheese-bacca sandwiches (damn…I should have called them sand-people-wiches), Darth Tater tots, Obi-Wan cannolis and blue milk. Please take note of awesome Burger King Star Wars glasses…courtesy of Layne. Thank Layne, kids. Oh and we also had Boba beer. Which was actually Coors Light. Eh, the cans are silver right? Beep boop bop. 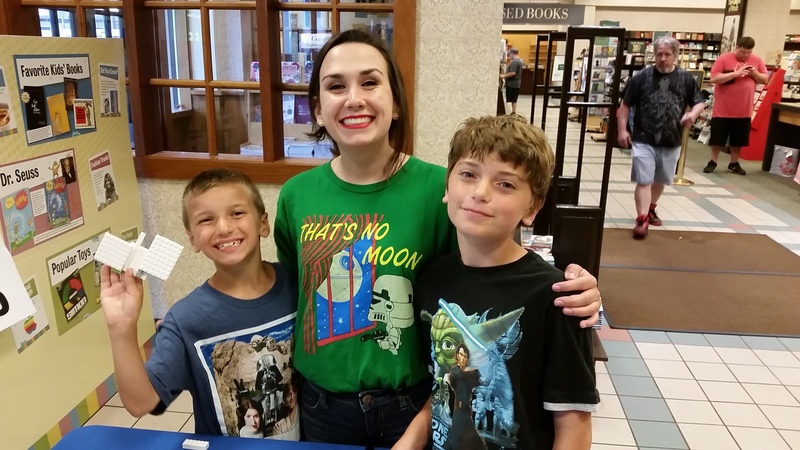 We actually timed this one perfectly because Holly was working at Barnes & Noble that day and it was STAR WARS DAY. WHAT?? 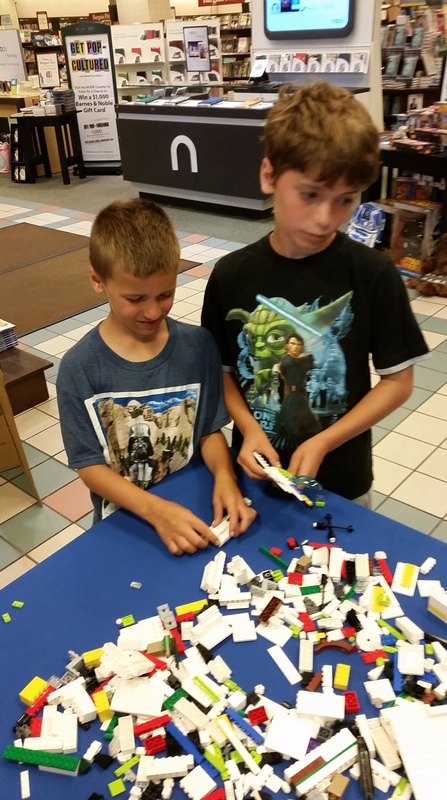 So prior to watching the movie, I took the boys over to Barnes & Noble for a Star Wars extrava-fun-za. 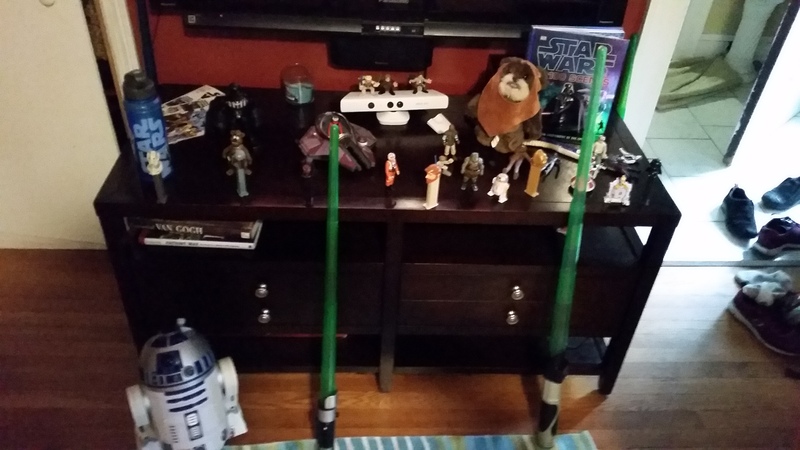 Which was really just a table with some Legos and a Storm Trooper cutout. But they did score some free posters and comics and won a couple sweet Darth Vader collapsible water bottles. Oh and they actually won a Star Wars Lego set for their Lego Storm Trooper and Chewbacca creations. And they bought some new Goosebumps books so it was a win-win. They got books and I got to spend money. I mean, what do I say about A New Hope? It’s awesome. The end. OK OK…you want a little more. I have seen this movie more times than I even know. It (and the rest of the trilogy) has become like comfort food to me. I don’t know if I can ever tire of watching these movies. You can often find the boys and I reciting our favorite lines – “3PO! 3PO! Oh, where is he? ?” And I have even gone against my better parenting judgement and let them watch Family Guy’s Blue Harvest. Hold on…someone’s at the door. They say they are from a company called, um, DSS? Must be a new delivery company…Eh, I am sure they will just leave the package on the porch. Annnnnyways. So yeah, this movie is obvs great. It has a great story, iconic characters, effects that still remain pretty special, that awesome score, et cetera et cetera. But what makes this movie really special? Star Wars has succeeded in creating a truly immersive universe. 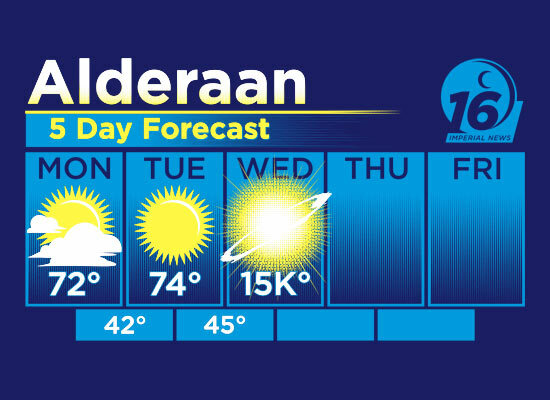 I mean, I totally want to go get hammered on Mos Eisley and shed a silent tear everytime I watch Alderaan get blown to bits. Get it? On account of Governor Tarkin can’t be trusted. Much like Tolkien’s Middle Earth, the universe of Star Wars is so expansive and so detailed, it doesn’t distract from the story. I am so in on this whole galaxy far, far away that I can focus on the development of the story. It’s a pretty amazing feat considering things like this are like…oh hey. And look…there are things that you’re like, hrm huh? I mean, how can the Empire NOT find Luke and Leia? She is a princess for gawd sake…how do they NOT know these guys are Darth Vader’s kids? Luke is like “oh hey I am on Tattooine. Yeah it’s where my dad grew up. NBD.” And Leia becomes a princess…heh, yeah that’s totez laying low. Also, I mean…a parsec IS a unit of distance not time. So the falcon making the Kessel Run in 12 parsecs is like me making the Boston Marathon in 8 inches. 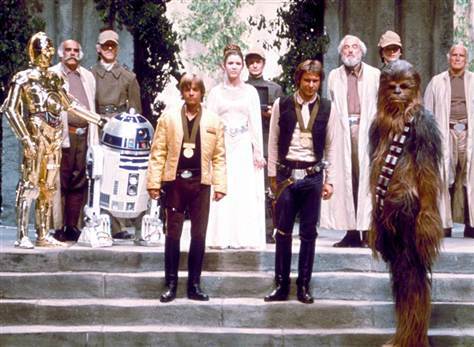 And why the CRUD does Chewie not get a medal. Racists. But still. What Star Wars did…and really continues to do…is uber-impressive. It has really set the standard for science fiction storytelling and I maintain optimism for The Force Awakens. 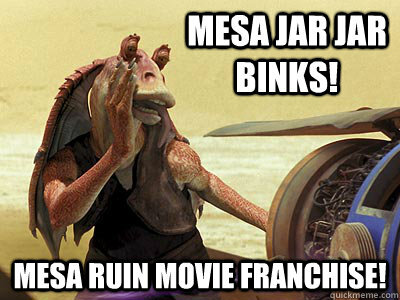 Despite being totally Jar-Jar’ed by the prequels. 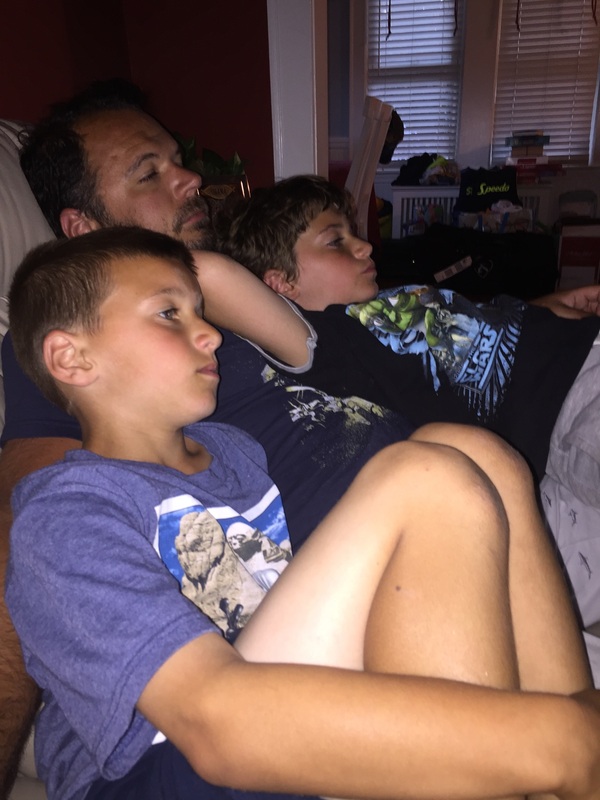 Next post40 Years, 40 Disney Movies: Counting Down to Daddy’s Birthday Night 10 – Mary Poppins!